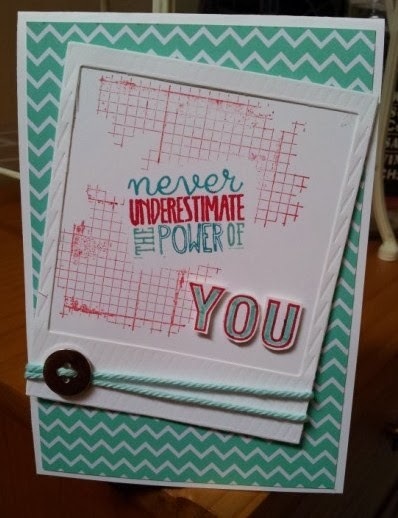 Julia's Cards: Never Underestimate the Power of YOU! I wanted to make a quick card to pop in the bag of an order - it was a special order as it was for a young lady who had saved her Christmas money to buy a Texture Boutique Embossing Machine. SO I decided I wanted a card to encourage her to enjoy her new crafting tool (BTW her mum was pretty happy she bought the machine too! lol). 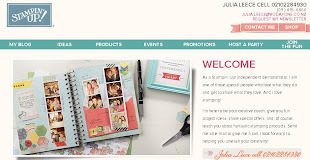 The word stamp is from Yippee-Skippee!. It actually says "never underestimate the power of TWO" but by colouring the words in individually with marker pens I could leave off the word "TWO" and add my own using the alphabet set "ABC-123 Outline Alphabet & Numbers". One I stamped the set I masked the greeting with some post-it notes and then stamped "Off the Grid" stamp over the top.